Ultra Antivir 2009 (UltraAntivir2009) is a new rogue. It belongs to the same family as Virusdoctor, VirusMelt, VirusAlarm. The GUI is always the same, only the title name is changing. Fake online scanners are redirecting to a new (and less expensive) way of hosting malware: Google Code. 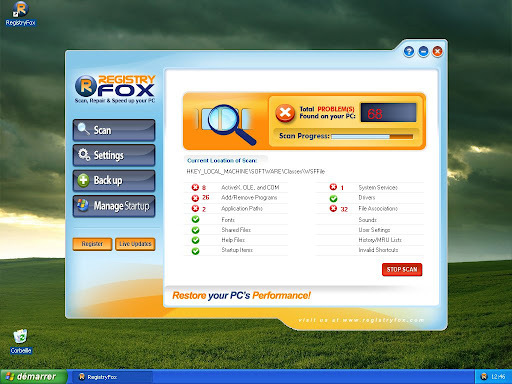 The Rogue, Antivirus Agent Pro, detects infection on a clean system. It creates random junk files (not executable) and triggers them as infected. Total Security is a fake security application. It belongs to Antivirus 360 rogues family (same GUI). Renus 2008 is a Fake Security application. Thanks to Bharath (on Sunbelt Blog). 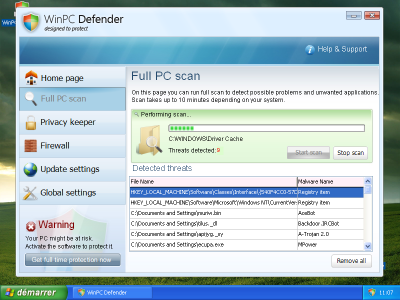 WinPC Defender is a Fake Security application (from the same creators of XP Police Antivirus, IE-Security, WinDefender 2009 and Total Secure 2009). Nothing more. All detected infections (1st capture) have disappeared ! XP-Police MAD, XP-Police/IEDef symptoms MAD. RegistryFox is a Fake Security application from AntiSpyware LLC. The same company that use to create SmitfraudFixTool rogue (from the original and legit application SmitfraudFix), MalwareRemovalBot Rogue, and many other fake stuff. 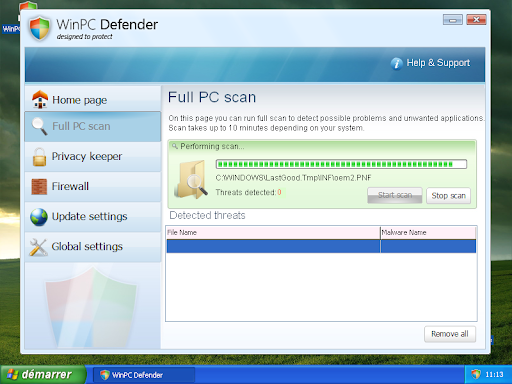 WinCoDecPRO is a Rogue like fake software. While Rogues detect fake infections on a clean system and display alerts message, WinCoDecPRO displays fake codec error, redirecting infected user to WinCoDecPRO web site.